I love Foley’s! They improve the neighborhood immensely and I’m very thankful for the opportunity to buy from a local vendor who sells local produce with that local feel of your neighborhood market. 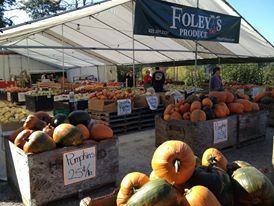 Their produce is amazing in and of itself and they have screaming good deals on several things all the time (Granny smith apples $0.79/lb). They may be a small stand in the midst of a plethora of big box grocers but they have quite the variety, supplying organic options among the regular options, even providing such goods as homemade bread, eggs, honey, and jams. 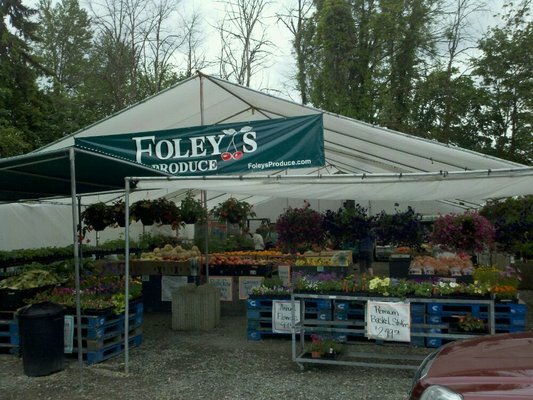 Foley even grows and sells some of his own plants. I highly recommend Foley’s and will be back again and again.